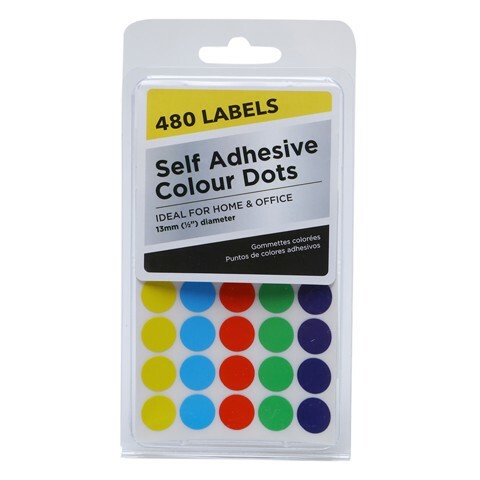 Adhesive Colour Dots 480Pk. 16 SHEETS 100 X 83MM |13MM DIAMETER LABEL. PURPLE I GREEN I BLUE I YELLOW I RED. PAPER | ADHESIVE. 31G Packaging: DOUBLE BLISTER WITH COLOR LABEL.